If you know a thing or two about beer, you'll know that the hops plant is so crucial to making good beer that the Germans made it the law for it to be an ingredient of beer! There's a bit of mystery and magic about hops. They are like the secret ingredient that makes everything taste and smell so delicious. Honestly, having a sniff of a freshly opened packet of hops is one of the best smells in the world. While you can't go terribly wrong with hops, you can go even better when you learn all the tricks and tips of using them. And that means questions need to be answered about how and when to use them. What kind and where from? Let's start with one of the most common questions about hops, what kind you might want to use. What kind of hops should I use with my beer? Different hop varieties suit different kinds of beer. After hundreds of years developing beer, there are now some well established rules of thumb for what kinds of hops brewers should use. The English Golding hop has become the signature hops of English ales. The popular Fuggle hop is another popular hop used for ale beer. Saaz hops are closely aligned with the brewing of lagers, mostly for the delicious aroma that has become associated with the beer. Saaz hops are an excellent choice of hop for the enthusiastic homebrewer. Pilsner beers have become nearly synonymous with the four so called 'noble hops'. These are varieties of hop called Terrnanger, Spalt, Hallertauer and of already mentioned Saaz. As an aside, pilsner beers are known as traditionally coming from the Czech Republic. If you're looking for hops that might help your beer taste a bit like the classic New Zealand beer, Steinlager, you might buy Green Bullet hops. America, the land of the free beer drinker, has become a home for hop production and many new varieties from old favorites have been developed. American hops are recognized and appreciated all around the world for their bold, and often intense flavors they imbue in beer. American hops are often described as being citrus like, however that's a most elementary description. Cascade hops are a very popular choice. Chinook is another popular 'north western' hop. What is a 'hops tea'? Sometimes when making homebrew, beer makes also like to make a cup of hop tea! The idea here is that the great hops aromas and oils have been removed from bullets due to the boiling and will then mix easily with your wort brew. Put the hops in a muslin bag (or tie up a square of it) and then boil it for several minutes. During the boil, have a good smell and enjoy the aromas as it wafts around the kitchen. That's the deliciousness you want to impart into your beer. When you've boiled the hops for long enough, turn the pan off but leave everything right where it is to cool. If you have already prepared your wort, so now put everything you've boiled - the whole muslin bag and the tea that you've made into the primary fermenter. You can also drink your own hops tea too! It's done slightly differently to the above method for beer - you let the hops steep as you would any other tea and then drink when cool enough. When should I add the hops pellets to my beer? Typically the beer wort is boiled with the hops added at crucial moments before it is cooled down to begin the fermentation process. The timings of when to add the hops in the boil can be critical as the different timings can cause the hops to work differently on the beer. If you are making your own wort (that is you are not using a beer kit) then it's best practice to follow a tried and true recipe, at least as you first start out. If you're at that point, you'll want to understand that the process is sometimes known as the “hop schedule”. A hop schedule will list the length of time that the hops should be in the boil, not the amount of time you should wait to add the hops. This allows you to make your timings correctly. The rough guide is the longer you boil the hops, the more bitterness they will impart. The shorter you boil them, the more flavour will be added. It depends on how you want your beer to benefit from the hops addition. If you are using a simple beer extract kit then you can add the hops when you are preparing the batch of wort. Just throw it with your wort and nature will do the rest. Some people like to delay adding the hops until a few days later. This is fine, but in our experience of using brewing kits, it makes little difference to the end result in the hop aromas and taste your beer will have. What's the best way to properly store hops? It turns out that turns out freezing hops is actually a popular trick with beer brewers! If you've purchased a vacuum sealed packet of hops and have some leftover, then we do firmly recommend that you freeze them. Quite simply, take your leftover beer hops and place them in a zip-lock bag. Remove the excess air and then seal. Grab a Sharpie and write on the name of the hops on the bag so you don't forget and then place in the freezer until required. If you want to go all 'professional' you could use a vacuum sealer to remove all the air. In such cases, you might not need to freeze the hops if the sealing has been done properly, but it wouldn't hurt. You can also refrigerate the hops. Again, put them in a ziplock bag or something airtight and remove as much air as possible if you can. I read that hops can stay fresh for up to a year this way but I know specialty brewing shops off load older hops much more regularly (handy trick, follow brewing specialists on Facebook - the ones I follow often announce that they are giving away their old hops stock because they have a fresh order coming in). I reckon that as long as your hops have not been exposed to too much oxygen, it will keep well enough for the average homebrewer to not have to worry about hops going stale. I've made a very hoppy beer, how long should I let it bottle condition? We would recommend you start drinking your beer when it's ready to be drunk rather than saving it for a rainy day. Bottle conditioned beer starts to become very drinkable from around the 3-week mark, depending on the storage conditions so any time around then would be a good time to start drinking your beer. The longer you wait beyond this period, the strength of the hops begins to dissipate. Your beer, of course, will not be ruined, it will just be less hoppy than you may have expected. What is the practice of dry hopping beer? It sounds like a fancy technical term but 'dry hopping' is simply the moment when the brewer adds hops in (dry) pellet form to the fermenter after the wort has been prepared. The brewer is, of course, using hops to improve the aroma of the beer and to add some bitterness to the brew (bitterness is best produced by the boiling of hops though). This ‘dry’ practice is often done later in the fermentation cycle of the beer. The thinking behind adding the hops later is that the hops aroma is more likely to stay with the beer brew through to the bottling process. This is because the bubbling process and emission of carbon dioxide via the airlock allows the aromas to escape. Bearing in mind that one should leave one’s beer to sit quietly for a couple of weeks before brewing to ensure that the yeast has had a chance to do its thing, this is a great opportunity for the oils and bitterness of the hops to also transfuse into the beer. It’s for that reason why dry hopping is a popular practice. So if that's dry hopping, what is wet hopping? Wet hopping is simply adding in freshly grown hops into the primary. Homebrewers have been known to grow their own hops, harvest it and then add it to their beer. It's the natural way to use hops. Turning hops into pellets has become popular as an easy means of distribution and serves as a way to preserve the life of the hops - it's a plant after all and just like when you don't eat the carrots in the fridge, they become rotten. You can actually grow your own hops in your backyard garden too. All you need is to get your hands on some rhizomes, get your green fingers out and plant them in a spot that will let them grow like crazy. A good source of hops rhizomes is from local Facebook groups. 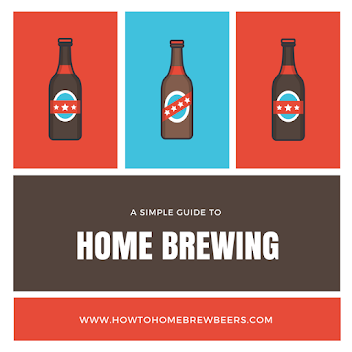 Home brewers often sell them to one another quite cheaply or just for shipping costs. My hops is just floating in the primary fermenter. Is this normal? Yes, when you first add hops to your wort it breaks apart from its pellet form and generally just floats at the top of the wort and this is normal. Given a few days, it will impart its wondrous qualities to the beer and then fall to the bottom of the fermenter, its job done. If you don't want this to occur, you could think about placing your hops in a muslin bag and dropping them in. Maybe put a glass marble in the bag so it weights down. Can I add hop pellets into the beer before bottling? If you've ever wondered if you could simply add a hop pellet to each bottle of beer when bottling your batch, think some more. You're setting yourself up for a potential disaster. While it can work, you are at serious risk of causing beer gushers. If it merely foams you are likely to experience your beer head to suffer from hop stuck in the head and floating in the beer. Ideally you want the hops to fall to the bottom of the fermenter so that when you fill your bottles you do not get the residue. At the end of the day, if you're cool with your beer being a bit messy and prepared to run the risk of bottle bombs, you might get a good result. Where can I buy hops? There are two ways to buy hops - in person or online. If you are going to do it in person, you need to find a local speciality beer brewing shop. I love going into speciality beer shops as the owners and staff are usually beer enthusiasts and give the best service and advice. Seriously, if you live close by to one, using a speciality store can save you delivery and postage costs and it's worth it to get that personal contact and ask any questions too! My personal favourite in Wellington is Brewtopia and the lads at The Brewhouse have been very helpful too. However, if you're a busy brewer or live in the outback somewhere, shopping for hops online is a breeze. If you live in New Zealand we recommend Brewshop as they have fair prices and a very impressive delivery time. For you Americans wanting to drown in cascade hops, just order hops from Amazon . There are plenty of reputable beer brewing equipment experts on there and between them, they have a large selection of the best hops to buy.